The riddles beneath the magic of light and space have been solved; 3D holograms which are fully viewable from every single angle are now possible –and they’re commercially available at a price anyone can afford. 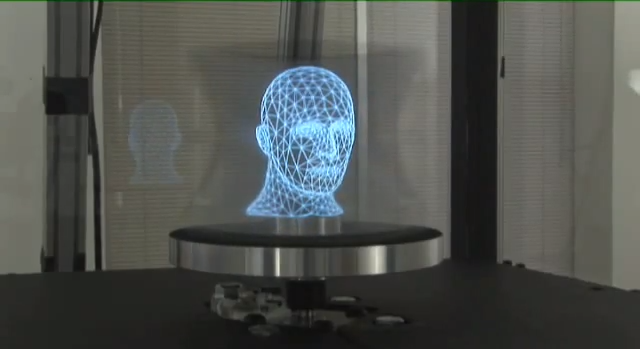 The day has come for 3D holographic displays that are better than the ones we’ve seen to date –so take that Tupac, Bladerunner, Fifth Element, and Star Wars. Even Q from Star Trek ain’t got nothing on modern real-world 3D holography –these are not your daddy’s 3D holographic displays.